On January 1, over 50,000 books, poems, songs, and other works of art became “public domain” in the US, making them free for anyone to use. This is the first large group of items added to the public domain in 20 years. When someone creates a work of art – for example, a book, movie, poem, or song – the work is protected by copyright. That means no one else can take the work and use it without permission. This helps make sure that artists can earn money from their work. 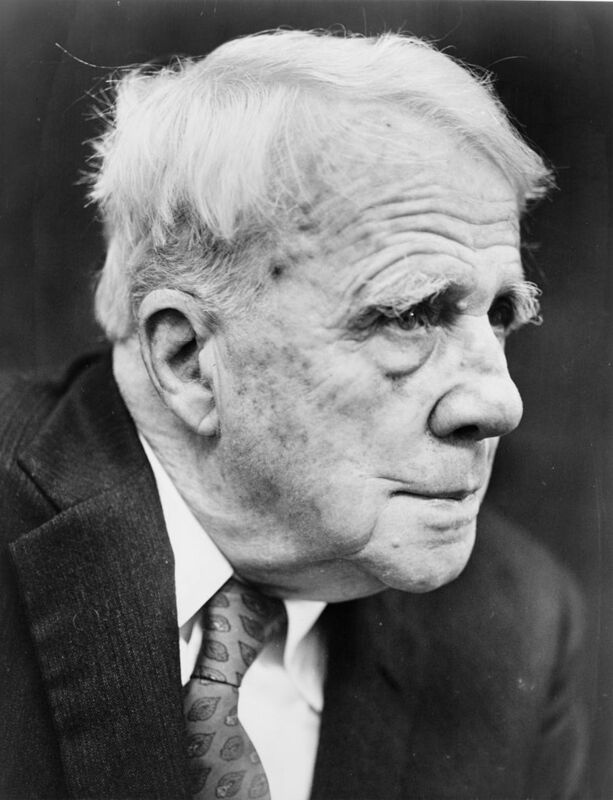 On January 1, over 50,000 books, poems, songs, and other works of art became “public domain” in the US, including poems by Robert Frost (pictured above). Different countries have different copyright laws. In the US, when copyright protection ends, the work enters the public domain, which means that anyone can use it in any way. Before 1976, the longest that copyright protection could last was 56 years. Some people thought this was unfair to the children of artists. In 1976, the US changed the copyright law so that works of art were protected from the time they were created until 50 years after the artist died. Big businesses, like Walt Disney, try to protect older creations, like Mickey Mouse, since they earn a lot of money. The dotted line shows when Mickey Mouse might enter the public domain. 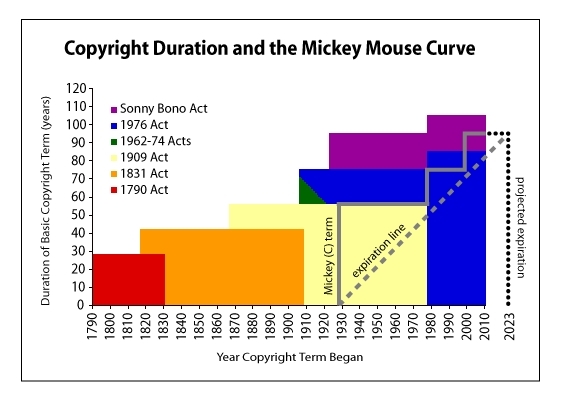 This graph shows how Congress has expanded copyright protection over time, often just in time to protect Mickey Mouse. The 1976 copyright law protected artists’ children, but it didn’t make businesses happy. Many big businesses, like Walt Disney, were making lots of money from old creations, such as Mickey Mouse and Winnie the Pooh. They asked Congress to change the law so that these creations would not become public domain. In 1998, Congress added 20 years to the copyright protection limit. That meant works of art were protected for 70 years after the death of the artist, or 95 years from when the work first got a copyright. Now, 20 years later, over 50,000 items from 1923 have finally entered the public domain. These works can now be used by anyone however they want. The works include books by Agatha Christie and Winston Churchill, movies by Charlie Chaplin, poems by Robert Frost, and more. Now, over 50,000 items from 1923 have finally entered the public domain. This is the first large group of items added to the public domain in 20 years. 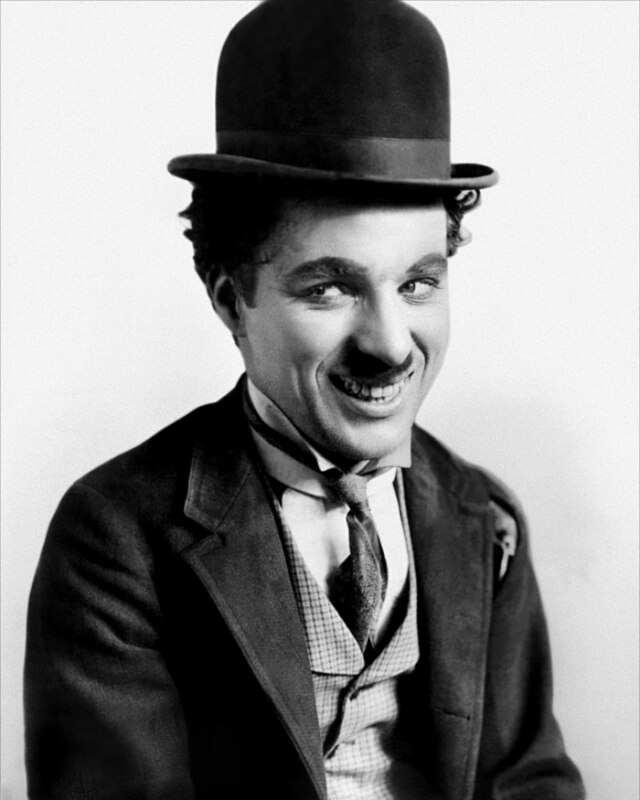 The works include movies by Charlie Chaplin (pictured above). Having new works in the public domain is important. Just like copyright protects the rights of artists, public domain protects the rights of the public. Being able to use the work of other people is one way new works of art are created. It is a way of sharing and building upon history. This is easy to see by looking at the movies that made the Disney company so famous. Here are just a few examples: Beauty and the Beast, Sleeping Beauty, and Cinderella. These stories were old stories that the Disney company took and told again in a new way. Being able to use the work of other people is one way new works of art are created. This is easy to see by looking at the movies that made Walt Disney famous. 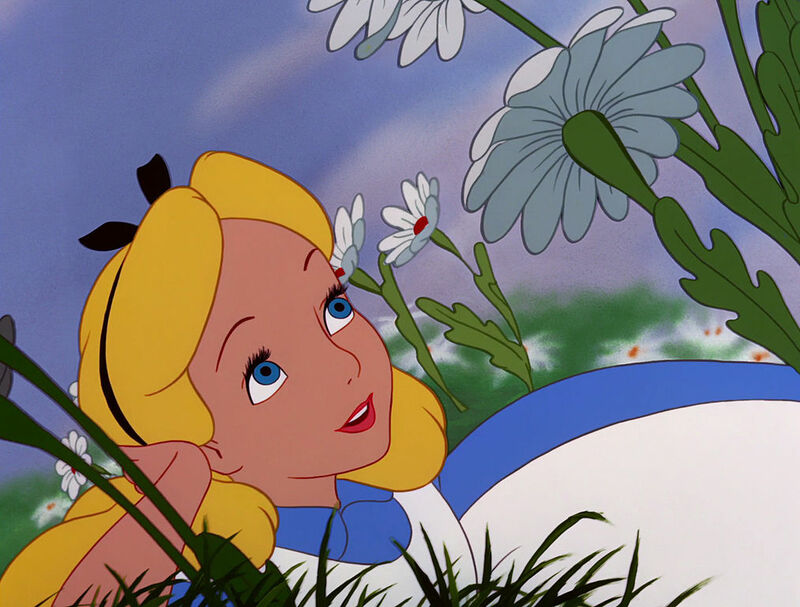 This picture is from Disney’s Alice in Wonderland, which is based on the book by Lewis Carroll. Many of the world’s most popular stories continue to be famous because they are free to retell. 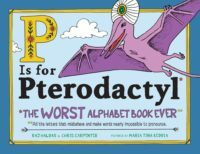 How many of these have you heard of? Hercules, Tarzan, Alice in Wonderland, the Wizard of Oz, Peter Pan, Robin Hood, Sherlock Holmes, Frankenstein, Dracula…the list goes on and on. All of these characters have been used in many new and different ways since they became part of the public domain. Many of the world’s most popular stories continue to be famous because they are free to retell. 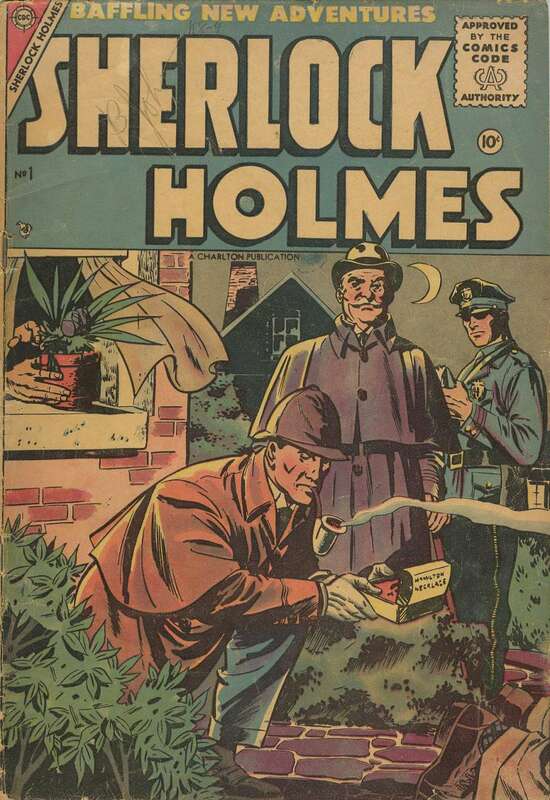 Sherlock Holmes is one example of a character that has been used in many new and different ways since it became part of the public domain. The good news is that unless Congress changes the copyright law again, new works should keep entering the public domain every January from now on.